Longan farming is quite popular among those interested in farming or general agriculture world. 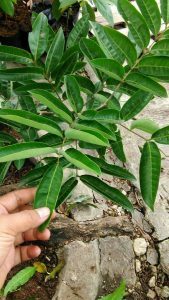 First thing first, you have to make sure you get high quality seeds for future longan trees. High quality longan seeds usually come from artificial vegetative reproduction which is stem transplant. It’s actually not recommended to farm longans from actual seeds because it’s not efficient in time and productivity level. Harvest productivity can reach up to 35-50 kg per tree from trees aged 3 year and up. The older, the more productive they get. Harvest productivity around 10-20 kg per tree aged 2 years old. Related post: Ciri/Karakteristik Kelengkeng Aroma Durian Secara Morfologis.